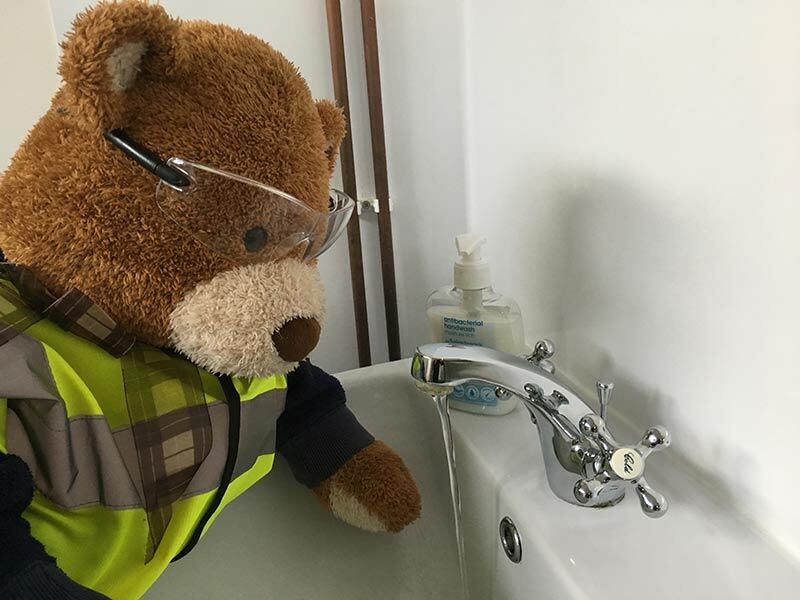 Our popular resident furry friend, Health and Safety Bear is never far away when you're in need of a helping hand (or paw in his case). He's an incredibly observant little chap too. Here he takes us through some of those office antics we all know and love (?) We wonder just how many you will find oh so familiar? 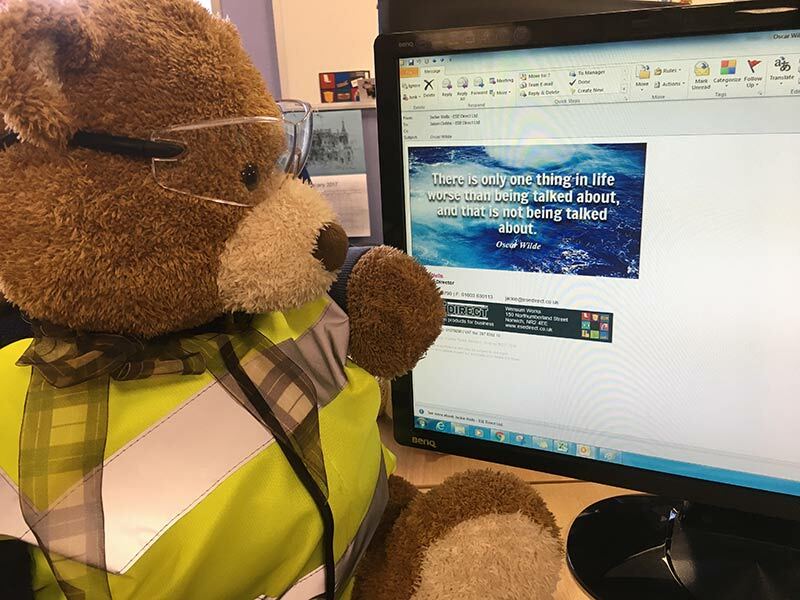 "Don't print out emails unless you really, really need to"
Being a bear, with ancestry in the woods, Health and Safety Bear is all about the outdoors, so respect trees, save paper and keep unnecessary printing of emails to a minimum. 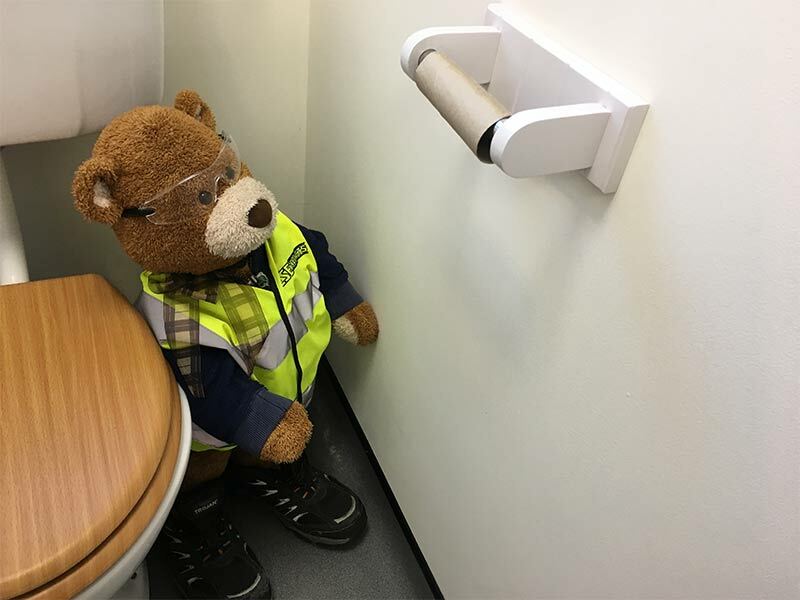 "Always, always replace the loo roll"
Being a bear, this would ordinarily take place in the woods, but, Health and Safety bear is no ordinary bear, so, let’s get to the bottom of this. There are few things worse than sitting down, relaxing and then spotting, often too late, that lonely naked cardboard roll hanging on the wall. Fear strikes and bemusement at the seriousness of the situation. Nobody wants to do the walk (or waddle) of shame to the next door cubical, in fear that any minute somebody may wander in blissfully unaware of the state of affairs occurring. Thus resulting in a large amount of embarrassment, for all involved! Shudder! We must also mention at this point, the direction of the replacement plump roll of softness… Obviously the ONLY way for a roll to roll is from above, over the top. "Wash up and put away teaspoons"
We’re unsure as to the reason why this is such a common theme in office kitchens. Why is it such a regular vision to see an array of used teaspoons strewn across the worktop, sink or washing up bowl? One wonders if we would find these stirring assistants donning kitchen surfaces of households throughout the UK? Is it a thing in the home as well as the workplace? 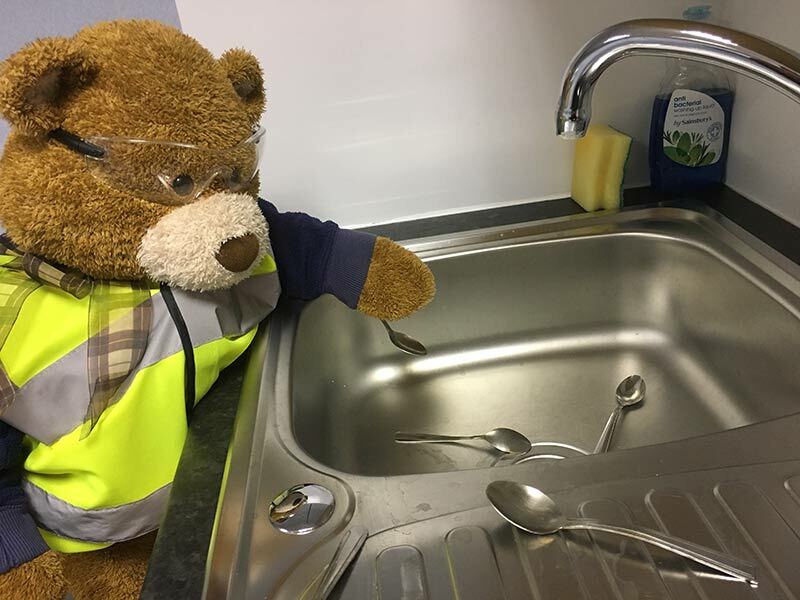 Either way, clearly we all prefer to stir our beverages with clean equipment (proven by the empty teaspoon section of the cutlery tray), so come on chaps, make Health and Safety bear a happy bear, wash it, wipe it, put it away. "Keep your desk clean and tidy"
Not only is a tidy desk aesthetically pleasing, a clean desk is so much more hygienic. Research has shown that an average office desk carries around 400 times more bacteria than a toilet seat! Yuk! Somebody pass the antibacterial wipes! "Don't listen to your answer phone messages on speaker"
Unnecessary noise in the workplace is often a cause for conflict. We like to instil peace and harmony, so, pick up the receiver, pop it to your ear and listen to your messages privately. Hey presto a calm office environment is resumed. "Don’t put your paw in the plug socket"
Have you pressed the on button but your computer won’t wake up? 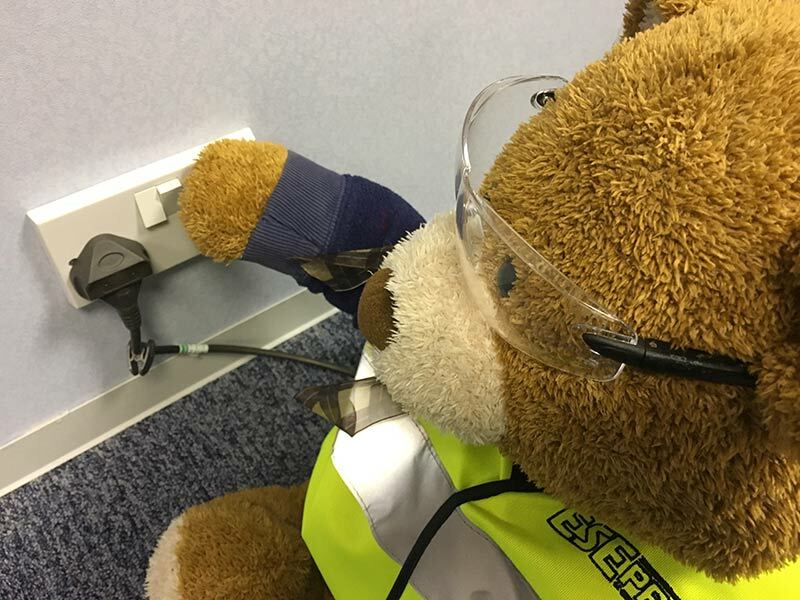 Don’t forget to turn off the power switch before investigating and checking connections to help avoid the risk of electric shock. 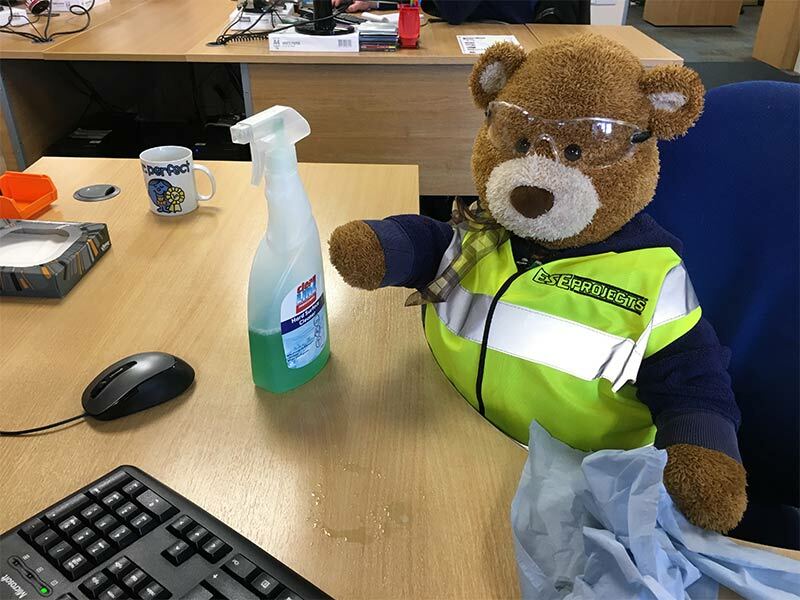 "Always wash your hands (paws)"
Whether you have eaten, been to the loo, shaken hands with someone, sneezed, opened doors, used the photocopier, these are all classic examples of ways in which germs spread around the workplace. So, to help prevent the spread of germs and nasty bacteria, wash your hands and/or use hand sanitising gel as often as you can. Stay healthy and happy. "Know where your emergency exits are"
If something happens which means that you need to leave the building in a hurry, do you know which way to go? It may sound simple but in an emergency situation, panic may ensue and a seemingly easy task presents itself in a way which suddenly becomes unusually complicated. Staying calm, focused and knowing the route out is an essential in these circumstances. 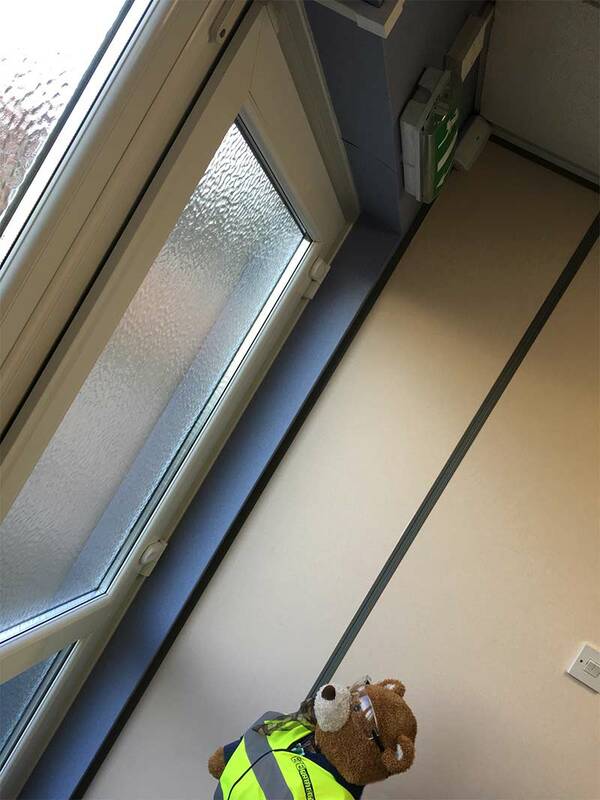 So look out for those green and white emergency exit signs which should by law, be located by all emergency exits. 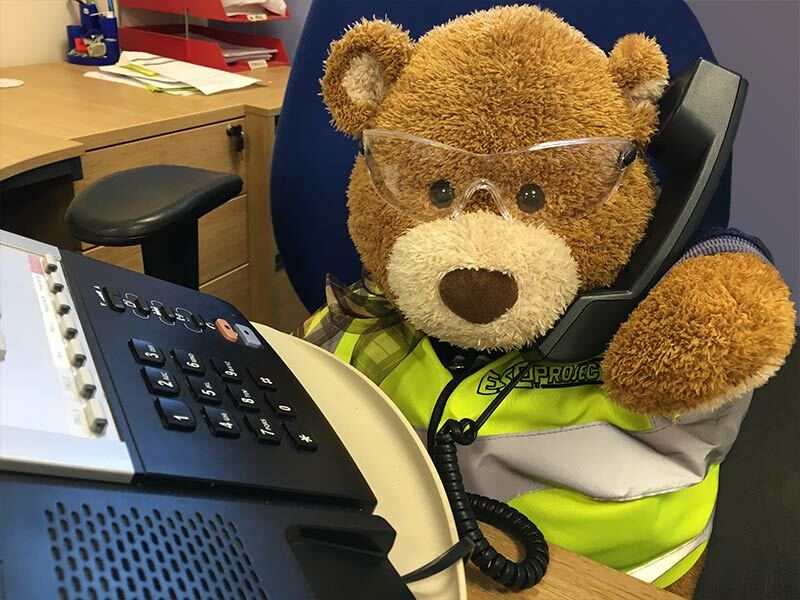 If you love our cuddly Health and Safety Bear as much as we do, follow us on Twitter (@esedirect) to be the first to find out what’s new with him, in and out of hibernation.